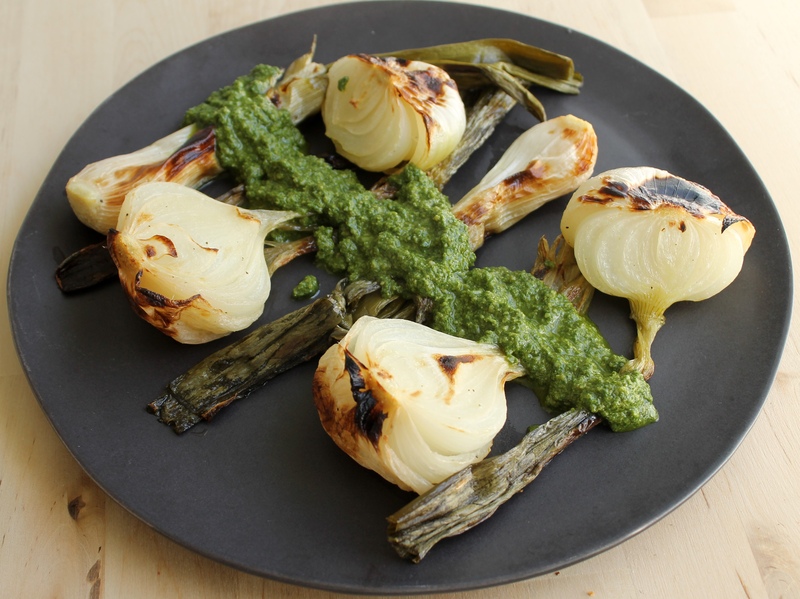 Whole spring onions are a wonderful late spring treat, especially when paired with a bright, herbaceous pesto. 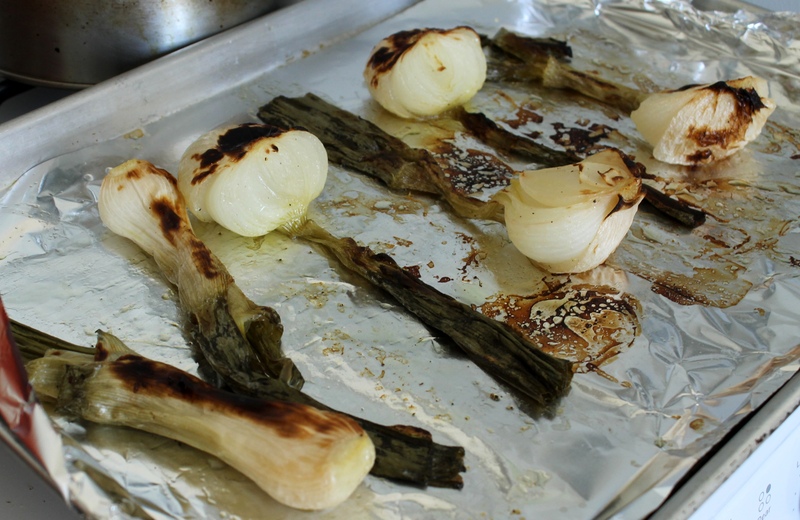 Whole grilled onions may be more traditional, but I prefer to cook the vegetable in the Anova Precision Cooker -- that way, they're totally tender from root to stem, every time. I send them under the broiler to char, but you can also kiss them on the grill if you'd prefer. You will likely have extra pesto. Use it on pasta or spread on grilled bread! 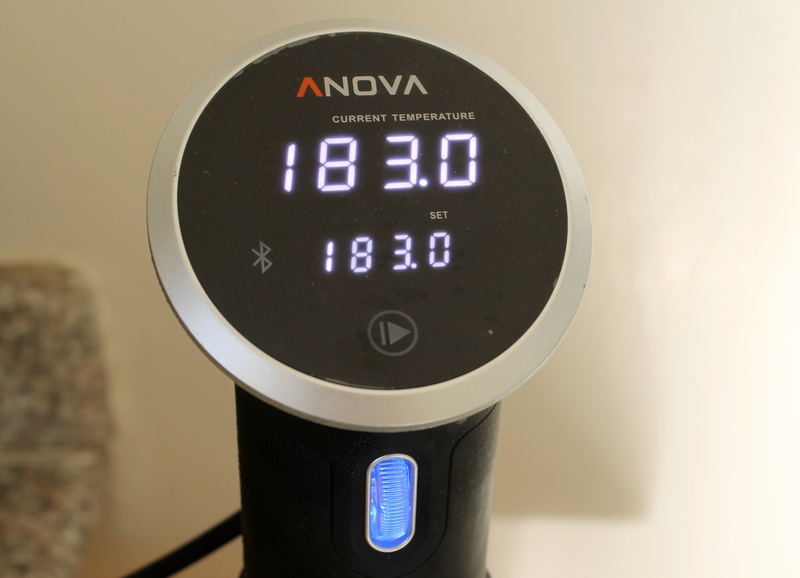 Set the Anova Sous Vide Precision Cooker to 183ºF (83.9ºC). 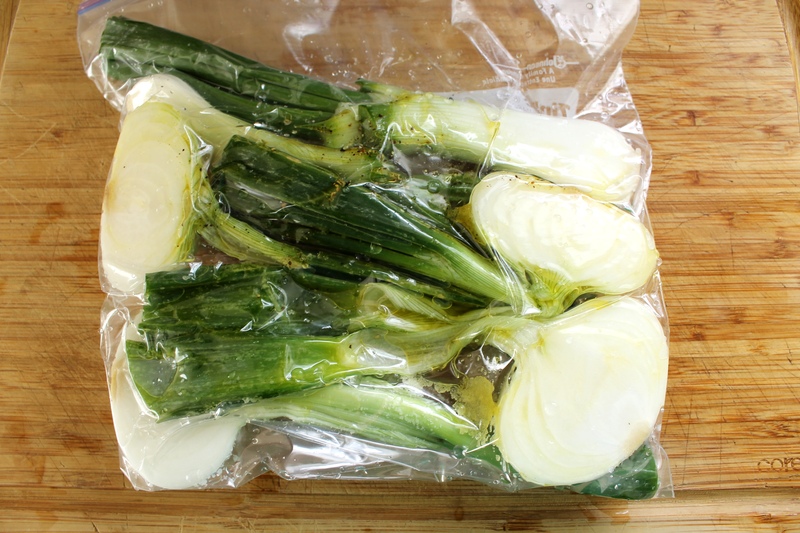 Place the onions in a single layer in a large zipper lock or vacuum seal bag with 2 tablespoons (30 ml) olive oil. Season with salt and pepper. Seal the bag using the water immersion technique or a vacuum sealer on the moist setting. Place the bag in the water bath and set the timer for 2 hours. If using a zipper lock bag, you may need to weigh down the bag to keep the onions submerged. Meanwhile, prepare the pesto. Pulse sunflower seeds and garlic in a food processor until minced. Add basil and pulse until roughly chopped. Pulse in cheese. With the processor running, drizzle in remaining 1/2 cup (118 ml) olive oil. 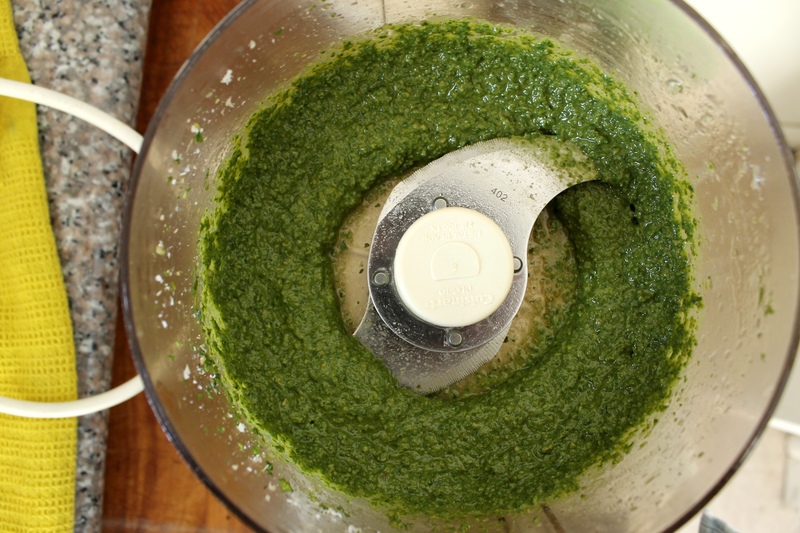 Continue to process until pesto is emulsified. Pulse in lemon juice. Season to taste with salt. Set aside, covered with plastic wrap. About 5 minutes before onions are finished, heat a broiler to high. 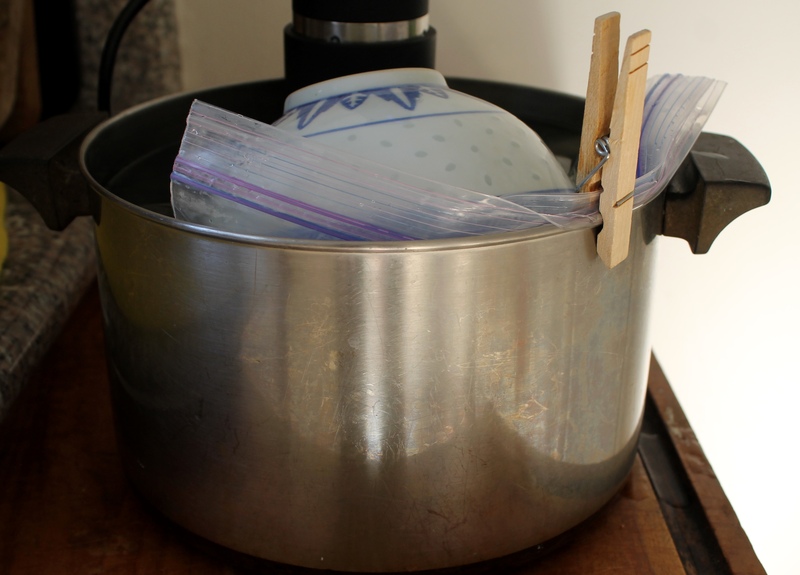 When the timer goes off, remove the bag from the water bath. Remove the onions from the bag and place on a foil-lined baking sheet. Discard cooking liquid. Broil onions until charred on both sides, 8 to 10 minutes total. Rotate the baking sheet as necessary to ensure even charring. Transfer onions to a serving platter and drizzle with pesto. Serve.